Se de tidligere Arne Jacobsen Fletstole på Internettet. Søg under Pariser Stolen/pariserstolen - Fremtidens Stol - rørstolen AJ 235 - rørstolen AJ 236 - Charlottenborg Stolen. Find the previous Arne Jacobsen Rattan Chairs at the Internet. Look under Pariser Stolen - pariserstolen - the Paris Chair - Fremtidens Stol - chair of the future - canechair AJ 235 - canechair AJ 236 - Charlottenborg Stolen - the Charlottenborg Chair. 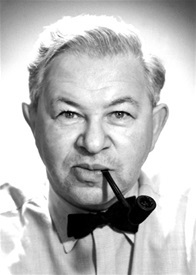 DK: Arne Jacobsen Fletstole er designet af professor, arkitekt MAA Arne Jacobsen (1902 - 1971) i perioden 1925 - 1937. Stolene er blevet produceret på licens af JV Holding/Fletmageren i perioden 1997-2013. ENGLISH: Arne Jacobsen Rattan Chairs are designed by Professor, Architect MAA Arne Jacobsen (1902 - 1971) in the period from 1925 - 1937. The chairs have been manufactured under licence by JV Holding/The Canemaker in the period 1997 - 2013. DK: Programmet er ophørt 1. oktober 2013. Vor service for leverede stole vil blive opretholdt i 2 år herefter, ligesom vi fortsat leverer vort hyndeprogram JVH Hynder til Arne Jacobsen Fletstole i en periode på 2 år. Se priser på hynder under afsnittet JVH Cushions. GB: This programme has come to an end on October 1st 2013. Our services for delivered chairs shall be maintained for a period of 2 years hereinafter. We shall continue to supply our cushion-programme JVH cushions for Arne Jacobsen Rattan Chairs for a period of 2 years. See prices for cushions under the section JVH Cushions. Verdens ældste/World´s oldest Modern Furniture Design in production by JV Holding/The Canmaker from 1997 until 2013. 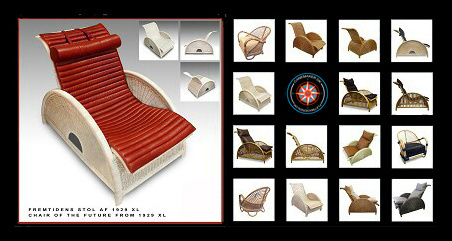 A rattan furniture design collection, designed by Professor, Architect MAA Arne Jacobsen in the period 1925 - 1937. 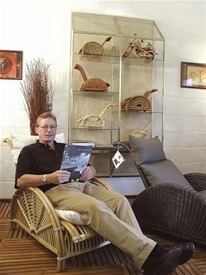 The design furniture were made under licence by the Canemaker since 1997. The range of modern design furniture consists of 5 different designs in many colours and various types of cushions, fabrics and leathers. The Paris-Chair from 1925 was AJ´s first chair, which was awarded with a silvermedal at the World-Exhibition in Paris the same year. Together with The Chair of Future, this chair was again exhibited at The House of Future in Copenhagen in 1929. This House took the 1. prize to AJ and Mogens Lassen. This step was also the beginning of a long and succesful carreer for Arne Jacobsen: The Egg - The Swan - The Ant - The 7 - The SAS-hotel - The National Bank of Denmark ans so much more. Rattanmøbler tegnet af Professor, Arkitekt MAA Arne Jacobsen i perioden 1925 - 1937. Disse designmøbler blev fremstillet på licens af Fletmageren siden 1997 og programmet består af 5 forskellige design møbler - Arne Jacobsen Fletstole - i forskellige farver og med et stort udvalg af hynder i stof og skind. Pariser-stolen fra 1925 var AJ´s 1. stol, der blev belønnet med en sølvmedealje på Verdensudstillingen i Paris samme år. Pariserstolen var sammen med Fremtidens Stol igen med på udstillingen Fremtidens Hus i København, 1929. Dette hus tog 1. prisen og blev starten på en lang karriere for Arne Jacobsen og hans kompagnon Flemming Lassen. GB: We have manufactured Arne Jacobsen Rattan chairs for 15 years. It has been several thousand chairs for happy and confident customers, who shall enjoy the chairs for many years to come - because: You see only a few 2nd hand chairs! Unfortunately we obtain a poor price during the crises. Also - new models are up! This is why we have decided to stop the manufacture and sale on October 1st 2013. Service and guarantee obligations shall continue for 2 more years along with the manufacture and sale of JVH Cushions for the chairs.